The University of Connecticut, located in Mansfield, was founded in 1881 as the Storrs Agricultural School with the purpose of teaching the practical, real-world skills of farming. This curricular focus stood in contrast to the classical education offered by established elite private institutions such as Yale, Wesleyan, and Trinity. Gifts of land and money from brothers Charles and Augustus Storrs laid the foundation for the school. Successive changes in name reflected shifting educational expectations. 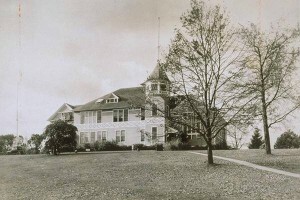 In 1893, the school changed its name to Storrs Agricultural College (SAC), which became the Connecticut Agricultural College (CAC) in 1899 and Connecticut State College (CSC) in 1933. It was designated the University of Connecticut (UConn) in 1939 as it began a lengthy climb from local to regional stature and, finally, by the end of the 20th century, national repute. Yale had originally been designated Connecticut’s land grant institution, but, to the chagrin of the state’s farmers, graduated few who practiced agriculture. With their support, and with a great deal of acrimony, Yale transferred land grant status in 1893 to Storrs Agricultural College. Hard feelings persisted, and the New Haven Register complained that national funds were wasted in Storrs and should be returned to Yale. It contended, “Connecticut has managed to acquire an institution that is at once a farce and fake….the faculty collected by the board has been enough to damn any institution….The scholarship has been of the poorest quality….A diploma from Storrs has never stood for serious training and high scholarship.” Despite such antagonism, the college progressed during the early years of the 20th century, particularly under the long presidency of Charles Lewis Beach, who witnessed change in campus brick and mortar as well as academic achievement. The arrival of a young, dynamic Midwesterner, Albert Nels Jorgensen, mitigated the impact of the Great Depression on the college. Jorgensen, who served until 1962, began his tenure by convincing the State Legislature to fund the physical development of the campus despite economic hard times. He introduced a multiple-year building program so that by the end of the Depression decade almost $3 million in construction and improvements were underway, more than had been spent since the school began. Among other structures, the iconic Wilbur Cross Library with its golden dome, an engineering building, a home economics building, and dorms for boys and girls (Wood and Whitney halls) appeared on campus. By the time he left the presidency, he called for the construction of many more well-known buildings. These included the much-used Hillside Road concert hall, named in Jorgensen’s honor, and the Social Sciences (Monteith) and Humanities (Arjona) Buildings, which hugged the central lake on Mansfield Road. Planners suggested their demolition during the first decade of the 21st century, but a reprieve was granted to the Monteith building and the fate of Arjona awaited final decision. While known for his bricks and mortar prowess, other more transformative events marked Jorgensen’s years in office. 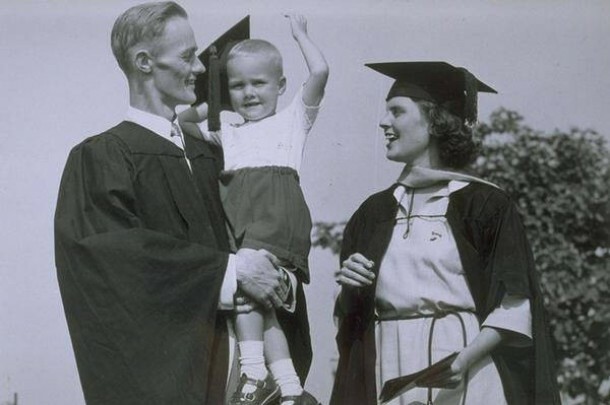 World War II brought enormous shifts to the university as the military trained on the campus and male students left their studies to serve in the armed forces. As a consequence, women had the opportunity to play a greater role in student life. 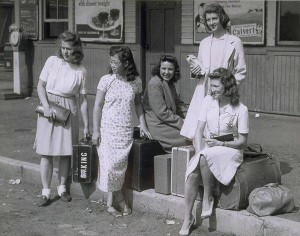 The first women students attended classes in Storrs as commuters in 1891. By 1896, the college built the first women’s dormitory, Oak Grove Cottage, where male visitors could “come calling” between 7:00 p.m. and 10:00 p.m. on Friday evenings. The campus changed in other ways as well during wartime. While few African American students called Storrs home, the racially homogeneous student body grew slightly more diverse when a small group of Japanese American (Nisei) students enrolled at the university, in preference to becoming residents of the era’s internment camps. The university emerged as a leader among institutions enrolling Japanese Americans. With the war’s end, UConn joined the march toward a vast expansion of public universities throughout the nation. Veterans flooded the halls of academe and, from 1946 to 1950, the school opened a special campus for them at Fort Trumbull in Groton. The McCarthy era took its toll on UConn when authorities forced four professors with alleged “red” connections from campus. A sensitive national issue played out during the 1950s when a fraternity was ultimately successful in its efforts to pledge an African American, still one of the very few on campus. And, among other things, anti-Semitism lingered. Despite such issues during Jorgensen’s presidency, the institution acquired an existing law school, which by the beginning of the 21st century developed into a nationally recognized center of legal studies, and moved toward the creation of medical and dental schools that opened in 1961 and 1968, respectively. The schools emerged as major research institutions, all within the framework of the University of Connecticut Health Center. Jorgensen’s successor, Homer D. Babbidge Jr. moved UConn toward a more liberal arts, humanistic focus and away from its agricultural and technical tradition while heading the school between 1962 and 1972. The tension between the two emphases had existed since the early 20th century, and while Babbidge was much beloved by many students and faculty, others resented his approach. Leading the university during a time of vast national social and cultural upheavals, Babbidge became the target of Viet Nam war protesters and had to deal with critical questions of racial and gender rights. His was not an easy time for college presidents, although thousands joined a petition asking him to remain in service when he announced his resignation. 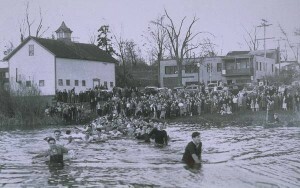 The succeeding years witnessed the development of research programs in the natural sciences, engineering, the humanities, and the social sciences while student life revolved around athletics, drinking (epitomized by the notorious end-of-semester Spring Weekend celebrations), and sometimes drugs, as well as the more intellectual pursuits of lectures, seminars, and informal bull sessions. Athletics played an important role at UConn beginning in the late 19th century when team sports supplanted manual labor (such as the breaking of rocks) to give the students some physical activity. 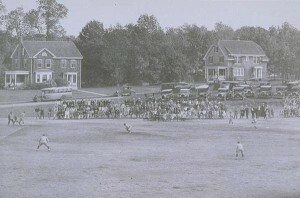 In 1923, the Connecticut Agricultural College joined other New England state colleges to form the New England Conference on Intercollegiate Athletics, and UConn joined the Yankee Conference in 1946. By 1956, the board of trustees and the administration pledged to oppose “big-time” athletics, but this changed in 1979 when UConn became a member of the Big East conference. Already having a long, and often winning, basketball tradition, in 1985 and 1986 the school hired new women’s and men’s basketball coaches, Geno Auriemma and Jim Calhoun, respectively, who took their teams to unprecedented successes and themselves to the Basketball Hall of Fame. 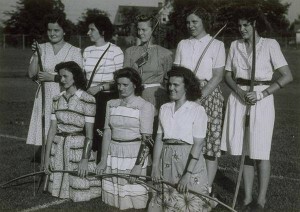 UConn took special advantage of the Civil Rights Act’s Title IX to encourage women’s sports, especially in basketball where the team won multiple national championships during the end of the 20th century and the first decade of the new millennium. In the meantime, the trustees voted to upgrade football to Division I and a 40,000-seat stadium, Rentschler Field, was built in East Hartford and often filled to capacity. The team earned three bowl bids, under the direction of Coach Randy Edsall, during the new century’s first decade. Edsall abruptly left for the University of Maryland and was replaced by Paul Pasqualoni. National athletic prominence attracted an increasing number of applicants for admission to the school, as did the physical remaking of the campus created by two major building programs, “UConn 2000” funded in 1995 and “21st Century UConn” in 2003, totaling $2.3 billion dollars in state bonding. These marked significant achievements during the presidencies of Harry Hartley, 1990-1996, and Philip E. Austin, 1996-2008, at a time when UConn became ranked as the leading public university in New England. However, an educational institution has to be judged by more than athletic victories and bricks and mortar. As these improved, so did the quality and diversity of students applying to the school and efforts to enhance academic rigor through curriculum reform, strengthened honor programs, research success in areas such as reproductive genetics, the establishment of a Humanities Institute, and endowed chairs to attract outstanding faculty. By the 21st century, the tiny local school that began as a place to train farmers in 1881 had become a nationally recognized undergraduate and research institution with campuses throughout the state as well as in Storrs. Stemmons, Walter, and André Schenker. 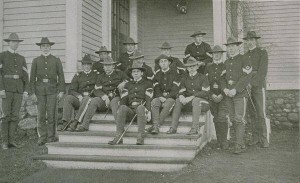 Connecticut Agricultural College, a History. 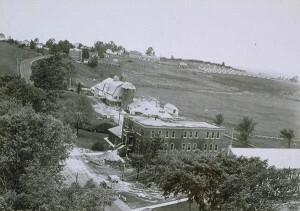 Storrs, CT: Connecticut Agricultural College, 1931. Stave, Bruce M. Red Brick in the Land of Steady Habits: Creating the University of Connecticut, 1881-2006. Hanover, NH: University Press of New England, 2006. Roy, Mark J. University of Connecticut. Charleston, SC: Arcadia, 2001.